STOP ACCIDENTS BEFORE THEY HAPPEN!!! Our anti-slip floor treatment in BocaRaton, Florida, is a long-Lasting Answer to The Problem of Slippery Wet Floors. You can improve safety and help prevent slip-and-fall accidents in your home, bathtub, shower, kitchen, restaurant, hotel, resilient floors, tile surfaces, concrete, locker rooms, wood flooring, slippery areas, laundry rooms, patio tiles, restaurant floors, ramps or anywhere. Have you ever walked across a floor without giving a thought to falling, and then unexpectedly stepped on a wet area, and lost your balance? Maybe you fell, ormaybe you almost fell; either way, it got your attention. People have tried various methods of making floors less slippery. There are the ugly and hard-to-clean mats that grace most entryways in otherwise attractive business lobbies. Everyone has had the privilege of taking a shower in a hotel that had the foresight to install those strips that feel like sandpaper and make the tubs and showers difficult to clean. Maybe the new tiles in your home or office were advertised to be “slip resistant?” More times than not, they are slip resistant – until they get wet. While some have tried both of the above methods, others have opted to add an anti-slip floor treatment solution to the regular cleaning water with the hope that adding a coating to the tops of the tiles on the floor will resolve the problem. This does not work. How about a permanent, non-intrusive and inexpensive solution that prevents slip-and-fall accidents? Glow Cleaning Plus Anti-slip solutions have a permanent solution to the problem of slippery tiles, showers, and bathtubs. Slippery bathtubs are the most common reason for bathroom-related accidents and are the number one cause of accidents in the home. These falls are also a multi-million dollar problem for the hospitality and health care industries. We have developed a program so you can treat your own bathtub with our anti-slip floor treatment and increase its slip-resistance. You will feel safe every time you step in or out of your tub knowing the Anti-slip solutions are there. Slipping in porcelain bathtubs can be prevented. 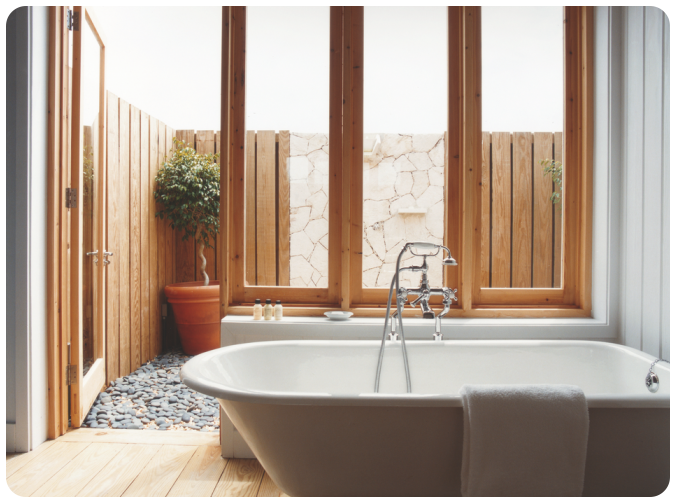 Some tub manufacturers offer a slip-resistant surface for their new bathtubs. Most consumers and businesses do not want the added expense of replacing their tubs. We offer an inexpensive, non-intrusive solution for your slippery problem. Some people have mats at the bottom of their tubs. While mats do provide a slip-resistant surface, mats tend to encourage bacterial build-up and need regular cleaning services to prevent mold growth. Our solution provides a substantially more slip-resistant surface, and you will not need that “ugly mat” around anymore. Surface alteration products that prevent slip-and-fall accidents, such as safety strips and decals, make your tub hard to clean and are less effective than Anti-slip solutions Bathtub Treatment. In addition to the previously described problems, most mats, decals and safety strips require strong glue or adhesives. Replacing them will leave hard to remove residue and will increase cleaning times. 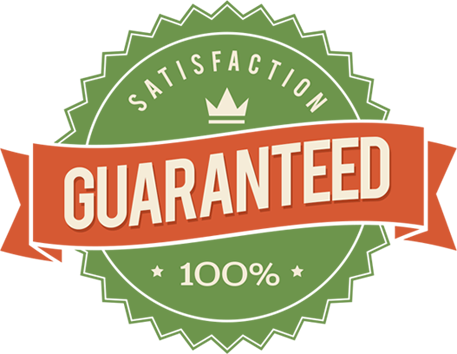 All properly installed Anti-slip solutions products are guaranteed to increase the coefficient of friction for your surface for 2 years (provided cleaning procedures are followed and no containments are present). If at any time during the warranty period the treated surface should lose its coefficient of friction, We Glow Cleaning Plus, as authorized applicator will reapply or provide additional anti-slip floor treatment at no additional cost to the Customer. Keeping Your Floors SAFE is Our Priority ! Give us a call and let us explain how you can solve this problem once-and-for all. NURSING HOMES – The CDC estimates that nursing home residents account for 20% of all deaths from falls in persons 65 years of age and older. Over one-third of all adults in that age group will suffer some sort of a slip-and-fall accident every year. 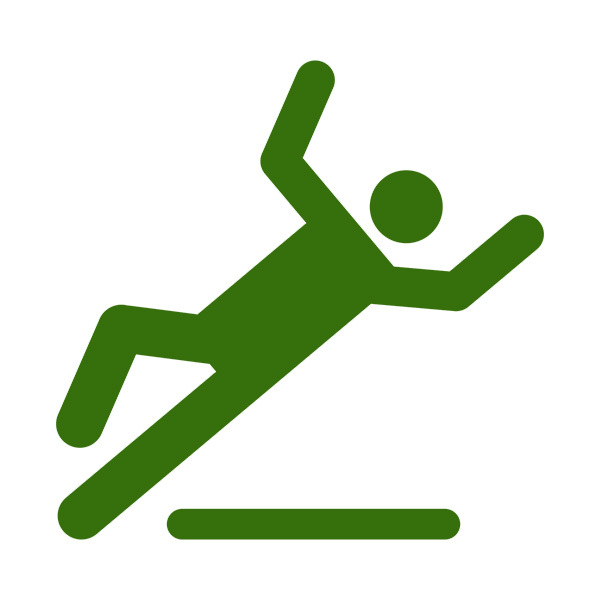 Slip-and-fall accidents account for more injury deaths of older Americans than any other form of injury. 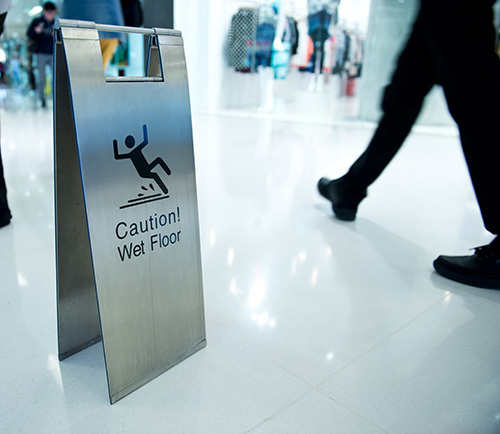 In total, over 15,000 people 65 or older die annually from slip-and-fall injuries close to 2 million are treated in emergency rooms for injuries suffered as result of a slip-and-fall. The Center estimates that 20% to 30% of people who experience a slip-and-fall will suffer moderate to severe injuries such as bruises, hip fractures, or head injuries. These injuries can inhibit mobility and hamper independent living. Slip-and-fall accidents are the common cause of traumatic brain injuries (TBI), and these account for 46% of fatal falls among older Americans. The most common fractures that occur from slip-and-fall accidents are fractures of the spine, hip, forearm, leg, ankle, pelvis, upper arm, and hand. 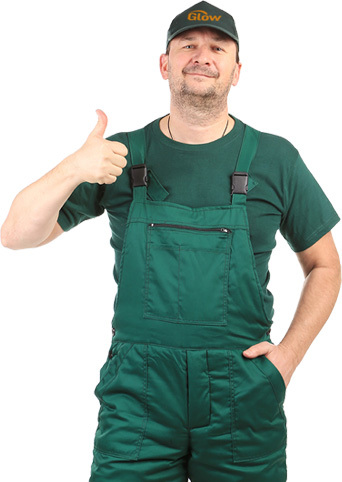 We have the answer to help you prevent slip-and-fall accidents from occurring in nursing homes. IN THE HOME– According to NFSI (National Floor Safety Institute) half of all accidental deaths in the home are caused by a fall. Most fall injuries in the home happen at ground level, not from an elevation. AT WORK – 85% of worker’s compensation claims are attributed to employees slipping on slick floors (Industrial Safety & Occupational Health Markets 5th edition).